When I think back to business school, I can only imagine in a few years that Obamacare will be a great case study for business school students to use. It begs lots of questions that really test someone’s decision making ability. You know healthcare is a huge issue for the country. How do you respond? You create a law that divides the country. How do you get people to focus on the benefits of the law? You create a law that no one understands and has to go to the Supreme Court. How do you defend it? You have to negotiate with lots of powerful groups to get everyone on board. How do you manage that? You decide to go with a web based strategy for sales and distribution. How do you develop and test that? You find out early that your web portal has functionality and security risks. What do you do about it? You have a failed launch and need to fix it. How do you do that? You made a promise to people about keeping their healthcare which everyone in the industry knew wasn’t true. What do you do now? You make changes on the fly that affect your partners and will affect other long-term components of the plan. Do you sacrifice for the long-term for short-term political gain? You have a chance to admit the complexities of the healthcare system and move forward. Do you take it or stick to your guns? I could go on, but it is fascinating. I think these last few weeks of decisions have been crazy. I hope there’s some group of healthcare people that really understand the current US system advising him, but it doesn’t seem like it. Or, the administration is deliberately making choices to shift blame. Allowing health insurers to extend individual plans that they’ve already cancelled is crazy. It’s driving mass confusion with consumers. It’s lighting up the call centers. And, ultimately, if those healthy consumers go back to the plans, the underwriting for the exchanges will be garbage meaning that they health insurers will lose their shirts. This will then mean that they underwrite with even higher prices for 2015 which will create a vicious cycle. Like I’ve said before, this started with good intentions, but it has been a series of bad decisions. Some things had to happen. Nothing happens without some failures, but at some point, we need better decisions to be made. You know what…that was a great campaign soundbite. It might have even been what he wanted. But, it’s not reality. They made a mistake. Move on. Everyone in healthcare knows the industry needs reform. I think the administration would be better off to admit they were wrong and focus on the benefits of reform and stop trying to defend what they’ve said. Instead, they continue to try to justify this statement – see whitehouse blog. Stop kidding yourself or get out of the ivory tower. It’s like trying to build a website without any experience. It makes no sense. As I said the other day, just like healthcare.gov isn’t the same as Health Reform (PPACA). The same goes for this statement. Healthcare needs to change. There are some good things here, but healthcare is complicated and the administration made some mistakes. On the flipside, the idea of creating better healthcare coverage for individuals was a good one, but I’m not sure why anyone thought this would be price neutral. In establishing a baseline offering which everyone has to have (e.g., maternity benefits), this is going to drive up costs. By requiring pricing for 2015 before anyone has experience with 2014 is just going to require companies to underwrite a lot of risk and drive premiums up. As a good summary read of issues, read 31 Things We Learned in HealthCare.gov’s First 31 Days. We all remember when President Obama pointed out that you wouldn’t have to change your doctor with health reform. That’s probably true in the most expensive plans, but you can’t always eat your cake and keep it too. We know healthcare prices vary from semi-rational to outrageous. It would be hard to get any concessions if every physician had to be in the network. So, like we’ve seen in pharmacy with some initial screaming but general acceptance, plans are going to reduce the size of their networks in return for some price concessions. Should this be a surprise? No…unless you actually believe politicians. Will this lead to a different set of issues around monitoring out of network use? Yes. This is something plans historically don’t do very well. Someone posted a link to this in LinkedIn. For those of you in the pharmacy world, pharmacists, PBMs, and even medical professionals that work with them, this seems very relevant. We all know the value that pharmacists bring to the over all care team. With that in mind, I signed the petition and thought I would share it here. Recognize pharmacists as health care providers!!! I just signed the following petition addressed to: Congress. Despite overwhelming evidence of the positive impact pharmacists can have on patient health, pharmacists are not recognized as healthcare providers under the Social Security Act and, therefore, cannot be paid by Medicare for therapy management and patient consultation services. The Social Security Act does recognize other healthcare professionals such as dieticians, nurse practitioners, physician assistants, nurse midwives, and clinical social workers. By changing the compensation structure allowed under Medicare, we can ensure that patients have access to the medication expertise of pharmacists. Studies have shown that when a pharmacist is directly involved in patient care, patients have fewer adverse drug reactions, experience improved outcomes, and healthcare costs are reduced. The perils of adverse effects from taking multiple medications affect all age groups. According to a recent survey, just over half of all Americans take at least 2 medications each day and nearly one-third take 4 or more medications each day. For the Medicare population, medication use is even higher — nearly half of Americans aged 65 and older take at least 4 medications each day. This is a critical safety issue!! What Would You Pay For A Week Of Life? I was at an Oncology meeting earlier today, and there was a brief discussion about pharmaceutical costs which is certainly one factor in overall healthcare costs. (See article on the 11 most expensive drugs ranging from $200-$410K / year) Ultimately, this always brings you back (at some point) to the topic of Quality Adjusted Life Year (QALY) or (a new term to me) “futile care” meaning care done essentially with a very low probability of working. Of course, like the lottery, we all like to believe that we’ll be the 1% for which this effort pays off. (see Prospect Theory or a broader article on use of incentives in healthcare). This can often be a very cost effective way to get people excited. This is especially true for poorer people who spend as much as 3% of their income on lotteries which have a very low return. But, the question at the center of this is what you would pay for a week of life? And, would that answer change based on timing? I believe so. 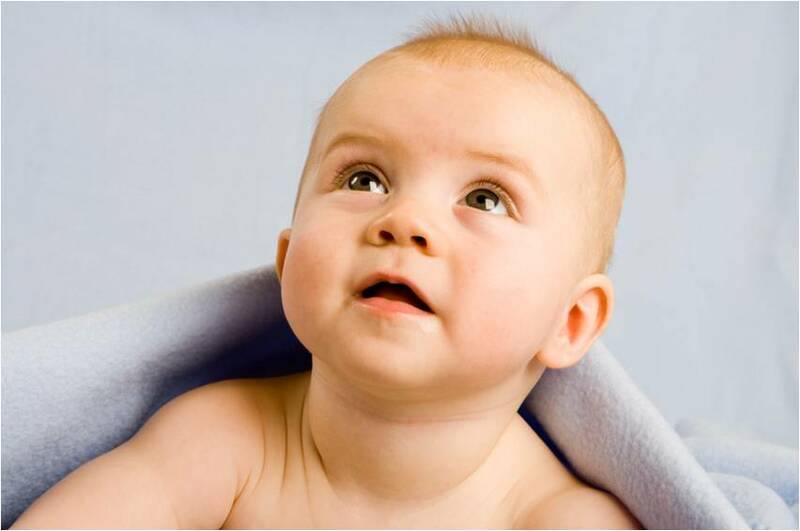 If asked today, when you were healthy, would you agree to spend $50,000 to gain one week of life? Perhaps not. When you’re on your death bed and realize that you still want to see a few more people, your answer may change. And, your family’s answer might change. If you had to make that decision for your parent, it might be tough to make at the hospital, but if you sat down with them when they were healthy and asked them whether they would like you to spend your kid’s college savings account on gaining them a week of life, the answer might change. But, what about when the money’s not yours. We all know the infamous diner’s dilemna where we’re likely to spend more money when your splitting the bill with everyone. When you’re covered by insurance or by the government, it’s not always your money being spent. So, what if it was positioned differently? If you knew that spending $50,000 for that one week of life meant that there wouldn’t be money to fund a shelter for 3-months that provided 20 homeless families with a place to sleep. Would that change your answer? It’s a tough question. No one like to put a financial value on life. I don’t have an easy answer other than having the discussions earlier with the patient and framing them the right way. Never mind the question about quality of life…Would you rather die in 2 days at home or would you rather live 8 days in the hospital where your throwing up all the time? I don’t know the economic tradeoff of these treatments or drugs so this isn’t specific to any scenario, but is a situation which come up and everyone runs away from. I understand why. $WAG and $ESRX Reach New Pharmacy Deal! Those are my immediate reactions. I just saw the news that Walgreens and Express Scripts have reached a new pharmacy deal effective 9/1/12. I’m sure there are lots of consumers that will be happy about that and a few competitive PBMs that will be disappointed. The Walgreen’s shareholders will be happy. Both parties can claim some victory by holding out so long. I imagine that the limited network was working ok, but there wasn’t huge adoption. It was probably also an issue in RFPs and with consultants. Other PBMs were likely using this in selling against Express Scripts so they’ll be disappointed. Obviously, the Medco contract with Walgreens was the big catalyst here. Letting that transition to a point where they didn’t get any Medco or Express Scripts patients would be a disaster. Will this change Walgreens collaboration with the NCPA against the PBMs and mail order or is that just the natural conflict here? The biggest battle now will be around customer retention and winback. Can Walgreens get their old Express Scripts patients to come back? Can CVS and others hold on to the patients? This will really test the theory about customer loyalty in the pharmacy space. The other interesting thing here is that this pushed Walgreens to really re-evaluate their strategy and market positioning. Will they emerge as as stronger and different company because of this 9 month period. I would think so, but that is still TBD. Will The GAO Doom Medicare Star Ratings? I’ve talked about the Medicare Star Ratings several times before. This is a critical framework for beginning the shift in payment from a fee-for-service world to a outcomes based system. I’m sure there are many issues with it, but being in the trenches, I certainly noticed that many companies began to look differently at programs over the past 18 months. So, from an attention getter, it worked. We all know rates were getting cut in Medicare so this shifted some of that pain to make companies focus on what matters in terms of quality and outcomes. Now, the GAO has put out a report that questions whether the expansion of the Star program to include 3 Star plans was a good idea. (see Gorman’s comments here) I think this is a fair question. Should we reward mediocrity? I think there are ways to do this. You could pay 3 and 3.5 star programs but only if they show improvement year-over-year. You could lower the payments or only reimburse them for investments made (i.e., no profit). You could do it for one year then move the line up to 3.5 stars and then move it to 4 stars to give plans some time to implement, learn, and improve. Right now, very few plans earn 5 stars, but dropping it to include 3-star plans makes almost 90% of plans get bonuses. Maybe this is a case for some time of GE program where the top 10% get the biggest bonus; the bottom 10% have to stop offering a program; and the remaining funds get divided up based on some time of rating system. The key here is not to throw the baby out with the bathwater. The framework is good. It’s taking time to understand the program, implement changes, and see an impact. But, let’s not reward people that can’t continue to innovate and improve and do it in a way that rewards members based on outcomes and satisfaction. Are you offended by this quote? If I reverse this, then I guess it doesn’t matter which specialty pharmacy a patient uses, but we all know that pharmacy is a lot more than pill counting (or should be). I’ve talked about my vision of the future before which is where pharmacists can leverage technology more for prepackaged drugs (especially with low cost oral solids) and long-term patients while their expertise is leveraged in counseling and helping patients understand their drugs and conditions. This is crucial to the healthcare system. So, while I can exploit the quote to drive an emotional response, isn’t the point that counting doesn’t matter but delivery of the medication and interaction with the patient does matter? This is either a massive validation of the perceived value of Twitter or a crazy distraction, but either way, it’s interesting to those of us who study the industry and/or study marketing and communications. As part of the ongoing dispute between Walgreens and Express Scripts, Twitter has become one of the latest tools. (see June post and September post) In an effort to sway public opinion and thereby pressure Express Scripts and its clients, Walgreens turned to bloggers and Twitter to push their messaging…but these were in some case paid comments which was surprising. They already have strong messaging in their IChooseWalgreens website and whitepapers on the Value of Walgreens. I also thought they were demonstrating some success in converting people to their discount program which was part of their overall growth strategy shared at their shareholders meeting. Conveniently, I found this infographic on how Twitter is changing healthcare. At the same time, this is an interesting fight because it’s a blend of B2C and B2B crossing paths. More to come since I’m sure this fight is long from over. Assuming that this is about savings to the consumer which I think is what the FTC is focused on, I think he missed the point of the deals. Pfizer is rebating the drug to cost less than the generic which is then prompting PBMs (and payers) to treat brand Lipitor as a generic. The consumer would pay their generic copay (from what I’ve seen), and they can still go get Lipitor for less then their copay by using the copay card that Pfizer offers making brand Lipitor $4 a month. This is a brilliant deal by Pfizer to extend the life of the drug (although I’d be upset if I was the authorized generic). The only potential people losing in this are payers who might not see the impact of the rebate dollars (e.g., carve-in employers). Most PBMs are sharing the majority of their rebate dollars these days. The question is how those rebate dollars flow down from there. While the judicial committee meeting today has no direct bearing on the FTC’s review of the proposed merger, it will definitely help form some public opinions and may help layout some areas of focus for the review. You can see the Bloomberg summary of some of the key quotes here. You can also read the submitted testimony by each of the six witnesses online at the judicial site. I pulled a few comments from each below. According to our data, Express Scripts members utilizing our full complement of tools enjoy an additional annual average savings of over 11 percent per year. These savings are in addition to the discounts from negotiating with drug makers, which average 27 percent below the average cash price consumers would pay at a retail pharmacy for brand name drugs and 53 percent below the retail cash price for generic drugs. The business of pharmacy benefit managers (PBMs) is defined by robust competition, with more than 40 PBMs working hard to provide differentiated value propositions for public and private payors. These firms are a diverse group with very different business models and varying degrees of vertical integration, some integrated with pharmacies, others integrated with managed care organizations and others entirely independent. Nine Fortune 500 companies operate their own PBMs. Non-PBM participants like Wal-Mart and Target also contribute meaningfully to the competitive landscape by offering low-price generic prescriptions, as do other retail pharmacies that are providing steep discounts on 90-day prescriptions. I didn’t get to listen to the prepared testimony, but I think I heard most of the Q&A which was interesting. But, I think I’m too close to it. I was really confused by some of questions and discussion. Since several PBMs leverage either SXC or Argus software, why would someone say that the smaller PBMs don’t have access to the same technology? Why would you view sales to managed care companies as a submarket for which to look specifically at marketshare? Or national employers for that matter? And, will any of that matter in the exchange market if consumers can purchase pharmacy coverage separately from medical benefits? Since consumers typically pay copayments, why is there a big focus on how consumers feel the savings of the merger? They may see a slight difference in percentage copayment plan designs, but the savings accrue to the payer which can choose whether or not to share those savings through lower copayments with the consumer. What services that a PBM provides are limited because of their geographic location? This seems to be one of the key points about the limitations of the smaller PBMs. Part of the pharmacy arguement was for creating a pharmacy home (which I agree with) and directing consumers to a single pharmacy. They also talked about having the pharmacist determine who should be allowed to fill 90-day prescriptions. This doesn’t sound very consumer friendly and sounds a lot like what they say the PBMs are doing that is bad. The idea that drugs are just shipped to patients without them wanting them was brought up several times. I’d really love to see some specific data about how that happens. Did their physician call it in? Did they sign up for auto-refill? There is a process to be followed which addresses consent and payment so while I believe consumers may say this happened I’d love to see the data on an individual basis. I also thought it showed the difference culturally or philosophically when you listened to George Paz answer the question about the greatest opportunity to save money versus David Snow’s reponse. This difference is both the challenge and the opportunity that the combined entity will have to embrace. The one part that really frustrated me was watching the member of the committee from Michigan try to pin everyone down on what they thought of healthcare reform and making the point that they were under oath. That seemed too political and not relevant to me. Now, it seems like both sides are continuing to take significant steps towards no resolution. Express Scripts has apparently launched a pilot program to move share from Walgreens stores now using coupons. I believe the pilot was with Lowes and is about to expand to the Department of Defense. Additionally, I’ve heard that Express Scripts has sent out letters to their clients preparing them for a limited network starting 1/1/12 without Walgreens. On the flipside, I’ve heard that Walgreens has begun putting signage out encouraging consumers to talk to their plans about excluding them from the network and for Medicare members to chose plans that aren’t run by Express Scripts. Walgreens also put out a whitepaper about what happens when you remove them from the network. This has some really interesting data in it. Key Statement: Excluding Walgreens from a pharmacy network will result in little to no savings for most sponsors and patients, and in some cases will raise costs, while causing significant patient disruption and risking gaps in care, and increasing administrative costs on plan sponsors. As part of this document, they are encouraging payers to consider directly contracting with them and/or creating a custom network (if their PBM contracts allow for that). They state that their costs are comparable to other retailers or within 2% of their costs. 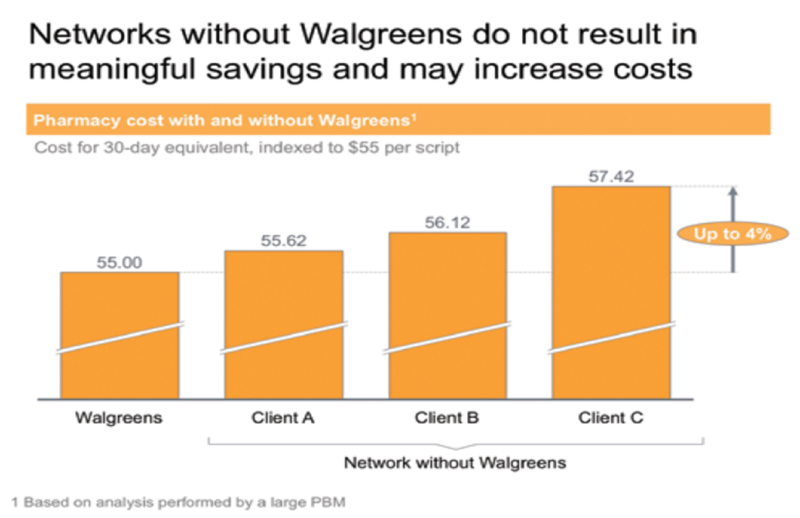 They show some data from another PBM (not named) that modeled out network savings for them based on a limited network taking into account their drug costs, generic fill rate, and 90-day rates. It shows a jump in costs versus savings. They share data that their Generic Fill Rate (GFR) is 1.4% higher than the rest of the Express Scripts retail network which the paper says translates to $2 per Rx in cost. They say that 90-day retail generates a 6-8% savings compared to 30-day retail based on the pricing that they offered to Express Scripts. This creates a wave of direct contracting between payers and pharmacies. This validates the integrated model of CVS and Caremark. This creates a large number of limited networks. This creates greater use of the Walgreens discount card and/or cash business at Walgreens especially for lower cost generics. Alienating Walgreens creates a disruptive force in the FTC review of the proposed Medco acquisition. Another PBM jumps in to do a creative deal with Walgreens which limits their long-term ability to work with Express Scripts. Express Scripts ends up in a shotgun relationship with CVS. The terms of PBM contracts get changed going forward based on new terms regarding retailers. Walgreens becomes a much more vocal voice in the retail world through NCPA and other organizations. Between this and the proposed Express Scripts acquisition of Medco, the landscape in the PBM market could be radically different by early 2012. I’ve talked about this several times before in my post about The Future Of Pharmacists and in my whitepaper “Innovate Or Be Commoditized“, but I continue to believe that pharmacists can play a bigger role in healthcare (see also Pharmacists to Prescribe). I know that people sometimes perceive my support for mail order and/or PBMs as anti-pharmacist, but they’re not. Even my criticism of independent pharmacies isn’t on the great work they do with patients but is focused on the tactics used to try to even the playing field. But, one of the things I’ve been watching for is what are some early indicators of how pharmacists are crossing the chasm from being dispensing-focused to being core members of the care team. A more outspoken push for pharmacist involvement in ACOs. MTM moving from a required program in Medicare to an optional program for commercial populations. Continued focus on pharmacists and distribution of vaccines. The increasingly public (or legislative) debates about the value of pharmacy and how and where to capture value. Prescription Copay Cards continues to be a hot topic (see list of articles at the end here), but I see a lot of FUD (fear, uncertainty, and doubt) versus a lot of facts. At the end of the day, there are certainly a few stories about cases where costs have jumped up due to copay cards overcoming formulary positioning. But, no one knows the total market impact. I’ve spoken with six different organizations that would be well positioned to know, but they don’t. It’s not tracked or easily available in the data. Reasonable estimates from Dr. Adam Fein over at DrugChannels put the market at about 100-125M Rxs which is about 3% of the total Rx market (assuming 3.3B Rxs/year) or 12% of the total brand market (assuming 75% GFR). [I validated those numbers with a specialty pharmacy that shared that they were seeing 13% of their claims come in with a copay card.] Certainly, the market has grown as IMS estimated in one recent article. There is a win-win. Copay cards can improve adherence. Adherence can reduce total healthcare costs. There is a point at which the increased cost curve crosses the savings curve and is something to be considered. Copay cards are really a CRM Trojan Horse for pharma to build a 1:1 patient relationship (or should be if they’re not thinking that way). Due to HIPAA, pharma doesn’t typically know who uses their drugs. If I were a brand manager, I would gladly trade some copay relief in return for increased adherence and the contact information for my patients. 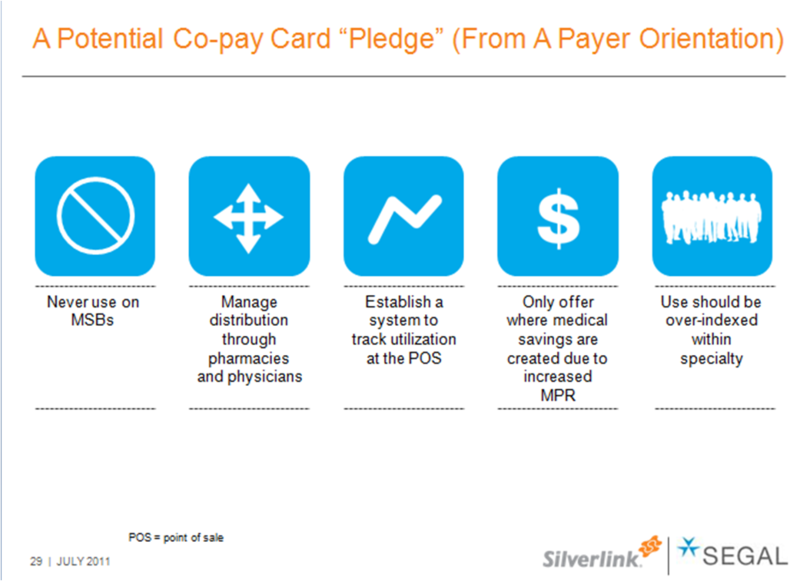 I think there are several ways that industry (especially pharmacies) should collaborate with pharma on how to leverage these copay cards at the POS with patients [call me to discuss]. But, to do that, I think the broader industry is going to require some type of rules which I am sharing shortly as a proposed “pledge”. The other thing longer-term to watch is will this further change the PBM-Pharma relationship. I think yes. If the PBMs push for legislation on this marketing tactic or the manufacturers figure out that this is a better use of their spend than rebates, this will change the relationship. $5.2B In Savings From OTC And Patient Self-Diagnosis? This is an interesting piece with some good data in it. It estimates that 10% of physician visits are for minor healthcare items where an OTC (over-the-counter) drug could be used. It then estimates that if 50% of those unnecessary visits were eliminated we could save $5.2B. It will certainly get some political attention (which it already has). How does the patient know that their “ailment” is something to self-diagnose? Does self-diagnosis lead to new issues? Were there other benefits to the patient and healthcare system of them visiting the physician? 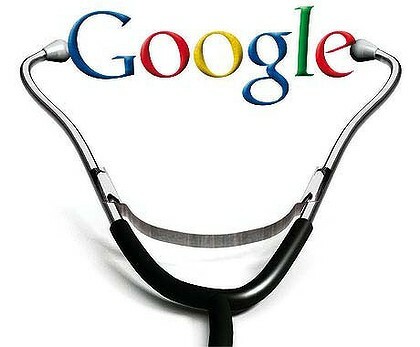 On the other hand, if I were a clinic company (think MinuteClinic or TakeCare Clinic), this would be great. It’s proposing to move 26M physician visits to another channel. I think the research believes this all jumps to Dr. Google, but I think it’s more likely that this gets pushed to clinics (and hopefully not to ERs). This morning Walgreen’s announced that it could not reach agreement with Express Scripts on their retail network contract. This is a big deal (for both parties) as Walgreens processes approximately 90M Rxs for Express Scripts or approximately $5.3B worth of Rxs. CVS Caremark clearly had their own retail network to fall back on. Express Scripts wouldn’t likely partner up with CVS so they’d be pushed into creating limited networks and partnering with everyone except the two biggest retail chains (in so much as PBMs partner with retailers versus simply negotiate with them). Last year’s dispute seemed focused on Maintenance Choice while this year’s dispute seems focused on contract terms (from press release). Express Scripts insisted on being able to unilaterally define contract terms, including what does and does not constitute a brand and generic drug, which would have denied Walgreens the predictability necessary to reliably plan its business operations going forward. Express Scripts rejected Walgreens request to be informed in advance if Express Scripts intends to add or transfer a prescription drug plan to a different Express Scripts pharmacy network, and to provide patients with equal access to Walgreens retail pharmacies. Express Scripts proposed to cut reimbursement rates to unacceptable levels below the industry average cost to provide each prescription. These have been issues in contracting for a long time. Why now? Why are these disputes with CVS Caremark and Express Scripts? What are Medco (or others) doing to avoid these issues? Does Walgreens get these terms from other PBMs? Or, is Express Scripts able to get these terms from CVS and other large chains like Walmart? I know one Wall Street analyst who is at Express Scripts tomorrow. That should be an interesting discussion. If history is any indication, I would expect we’ll see an Express Scripts press release on their perspective by the end of the day. Ultimately, the big question is whether something like this could be the final event to push the industry into limited / restricted networks (see Walmart post) and get it from the 5-10% of clients that use this today to a more meaningful number. Is The PBM A Fiduciary? I Don’t Think So. I’m not a lawyer, but with the potential repealing of the Maine law regarding PBMs, it’s time to think about this question. A fiduciary duty is an obligation to act in the best interest of another party. For instance, a corporation’s board member has a fiduciary duty to the shareholders, a trustee has a fiduciary duty to the trust’s beneficiaries, and an attorney has a fiduciary duty to a client. A fiduciary obligation exists whenever the relationship with the client involves a special trust, confidence, and reliance on the fiduciary to exercise his discretion or expertise in acting for the client. The fiduciary must knowingly accept that trust and confidence to exercise his expertise and discretion to act on the client’s behalf. Can the PBM be responsible to its shareholders and to the clients? Does the PBM act on behalf of the client? The fiduciary relationship basically makes the PBM into a cost-plus model where profits and costs are know. There are already lots of transparency standards for clients to leverage in designing their PBM contracts. I struggle to see a comparable fiduciary business relationship out there. Suggestions? On the second point, the whole PBM model around benefit design and interventions has been set up as consultative where the PBM provides ideas and models for the payer to select from. They don’t get to chose what’s best for them. 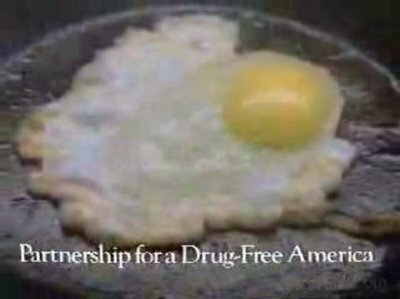 I’m not sure that the lobbyists for the original plan would want this. If I’m a PBM with a mail order pharmacy, I believe that this is the best model to save money, drive adherence, and avoid errors. So, as a fiduciary, wouldn’t I have to put in a mandatory mail program with mandatory generics lots of utilization management programs and a closed formulary? That’s what’s best financially in most (all cases). I’m all in favor of disclosure of conflicts of interest. PBMs should explain how they make money to their clients so it’s clearly understood. If you choose this medication and fill it from my in-office dispensing, I make $X versus you choosing this other drug. If you get this procedure done, I get a referral from my colleague plus I make $X on performing the surgery. This will affect X% of the population. This will save you $X compared to your other options over here. This will be a win-win for us because we make money as your GFR goes up. We charge manufacturers an administrative fee for managing the rebate contracts and will keep that. When the DC regulation around PBM fiduciary responsibility went to court, it was struck down. Will Maine finally end up in the same bucket? Will others follow? I guess the question for people to ask is what has happened to Maine’s pharmacy costs in the past few years. Has there been an advantage (or disadvantage) to this law? Electronic prescribing has been an effort for at least the past decade and significant progress has been made (see Surescripts latest report). That being said, we all know that changing behavior in the office setting is difficult. It has been the bane of many a technology vendor in the healthcare space. On the one hand, I’m not surprised to see that lots of physicians might apply for an exemption from CMS around electronic prescribing. Some physicians simply used electronic prescribing to write the 10 scripts required and then turned it off. The fact that there could be so many doctors that fit the approved exemptions. Practice in an area with limited high speed Internet access. Work in an area where a limited number of pharmacies accept electronic prescriptions. Cannot prescribe enough drug orders electronically due to local, state, or federal laws (e.g., controlled substances). Have insufficient opportunities to report the e-prescribing measures because of their patient type. I didn’t think that could get you to 200,000 physicians (who were actively working with Medicare patients). The one that seems most feasible is for physician who register to participate in the Medicare or Medicaid EMR incentive program AND both adopt and use the technology by the 2011 deadline. They can also get exemptions. Prescribe more than 25 times before Dec 31st to earn a 1% bonus in 2012. Depending on your patient base, this seems like a pretty good business case to at least get a system in; write for 26 prescriptions; and collect your bonus. Splitting up CVS Caremark is Stupid…Just learn to compete. This is focused (I believe) on the whole issue of limited networks and preferred networks as you can see from the NCPA letter about Maintenance Choice. They throw everything but the kitchen sink at this model…why? Because it works. Maintenance Choice is saving consumers money and payers money. 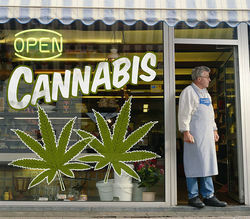 And, it’s moving market share to CVS stores. This is the future. This is what Walmart is focused on. This is what Restat is focused on. OptumRx (Prescription Solutions) just launched their limited network. Humana is leveraging this in Medicare with Walmart. At the end of the day, isn’t it the payer’s option to decide how to design a benefit plan to offers a clinically effective solution at the lowest cost posible? Given that there are way too many pharmacies in the US today, someone (unfortunately) has to lose. That is reality. Based on the fact that there are more than 5x as many pharmacies as McDonalds in the US, we’re saturated. Should You Pay Physicians For Medication Adherence? I’d love to hear some physician perspectives on this. It’s a question that comes up every once in a while. The question of course is what to do about that. Most of the programs focus on consumer or patient interventions. But, interestingly, I’ve seen a few other studies recently that show that prescription programs targeting physicians can influence behavior (example here). I’ve also heard a few companies talk about paying physicians to keep patients adherent. Should the physician play a role in adherence? Does the physician know if a patient is adherent? Should they get this data? From whom? If the physician asks the patient, will they tell them to truth or will it simply be a case of “white coat” adherence? Should this be a performance metric in a pay-for-performance environment? Will PCMHs and ACOs structures change this and make adherence a critical issue for discussion between the patient and physician? In general, I think most people believe that physicians (as indicated in studies like this one) don’t see prescription adherence as a big issue that they can or should influence. Is that true? Would “incentives” change that? Of course, the debate isn’t limited to paying physicians as multiple companies are paying consumers to be adherent. Here’s a post from last year from another blogger called “Paying Patients To Take Their Medications Is Stupid” which is similar to one of my posts from last year. Could CVS Caremark Become A Kaiser? I know the popular opinion is to talk about CVS Caremark splitting up. Let me go radically in the other extreme. The question I would have is who is in the best position to build themselves into an integrated system. The two companies that jump out at you are United Healthcare and CVS Caremark. Of course, neither of them have the provider (aka hospital) assets. But, I think the point here is that most people I talk to agree that an integrated model is the right model “on paper”. It can (in theory) offer the best patient experience. It can drive the best integrated data. It can coordinate across business lines to accomplish the best outcomes. So, it makes me wonder why we let Wall Street dictate the strategy here. In many cases, structural changes take time. If building an integrated model is the right concept, why isn’t the talk about CVS Caremark buying a health plan and subsequently jumping into the provider space with ACO models? Why isn’t the discussion about United Healthcare buying up hospitals and physician groups? Maybe I’m just trying to present a different scenario or maybe I have rose-colored glasses on, but I think it’s an interesting question to ponder. Should physicians have the final say in patient care? Logically, individuals trust their physician to act in their best interest and make the best decisions (based on the information they have). But, this has shifted from the MD as the primary source of knowledge to the MD as a part of a care team. 1. They have to be able to not practice defensive medicine. 2. They have to understand my costs. 3. There have to be no meaningful differences based on geography or income or race. 4. They have to adopt best practices quickly. 5. They have to be able to be paid based on outcomes. Some of these are systemic changes that have to be addressed (#1 and #5). The other three can be addressed thru technology (as long as physicians are willing to embrace the science of medicine not just the art). As a quick example, look at Dr. Atul Gawande’s book. – The Checklist Manifesto or look at some of the work by companies like Health Dialogue on shared decision making. Now, maybe the person that asked the question is taking a more radical stand and physician’s embrace the support these companies provide them, but that hasn’t historically been true. Data: Should You Be Paranoid? I think we all know or are quickly realizing that everything we do leaves a trail of breadcrumbs. That trail is a series of data points which now can be aggregated to create a record of you. What you do? What you buy? What ads you respond to? Who your friends are? The list goes on. The question of course is whether you should be paranoid and worried about it. This video below shows you the extreme scenario of how data could be abused. In a more balanced view, Time Magazine had an article call Your Data, Yourself which just appeared on March 21, 2011. The author makes a key point…a lot of the things we get for free are free because people collect and sell our data. Otherwise, these “free” business models wouldn’t exist. Would you pay for all the content and other things you get today or do you just want to understand what happens to your data? On the other hand, the author shows you how data put together adhoc can paint erroneous pictures of you. Should you care? Do you want to fix this? Can you control it? While we say that we don’t like to know that our data is being used to target ads at us, do we really want to have to sort through all the irrelevant advertisements? Of course, we all become a lot more sensitive around healthcare data. 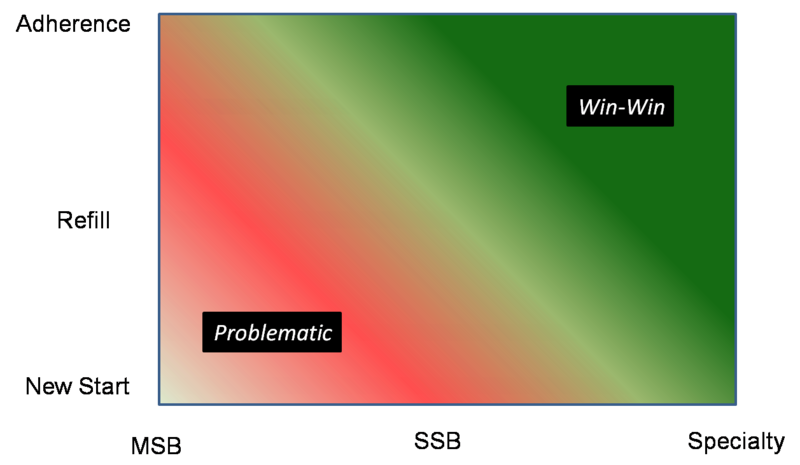 But, somehow, I doubt many of us think about what happens when we use our work PC to research a condition (see article on 10 ways to monitor your employees). Don’t expect this one to go away. With issues like the data breach at Epsilon, people are concerned. Additionally, as data gets co-mingled and your credit score is used to determine health programs (for example), there may be limits about what and how information is used.